Only 50 royal buckets are being made available to the public. 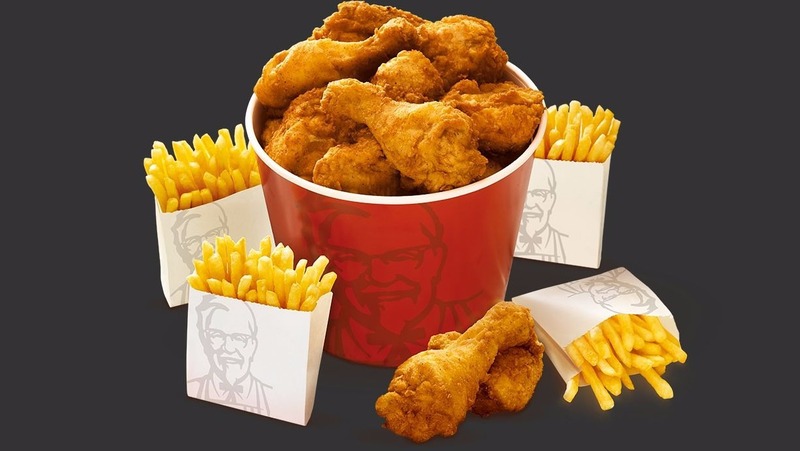 KFC is pulling out all the stops for Prince Harry’s wedding to Suits star Meghan Markle with a special commemorative Royal bucket made out of fancy china and full of glorious chicken. On Saturday May 19th, fried chicken fans will be able to tuck into an extra special meal from the fast food giants and it’s all thanks to the Royal Family. They may have been too tight to grant the UK a day off work by having the wedding on a Friday, but KFC is on hand at least to make it an occasion to remember. It’s no secret that the Royal Couple are mad crazy about chicken – the Prince supposedly got down on one knee while making a roast chicken. If it had been KFC, we may even have also had another prince or princess on the way. In any case, to make mark the Royal Wedding, KFC are launching a limited edition Commemorative Bucket. Just 50 have been made and will be available exclusively from KFC’s Windsor restaurant on the wedding day itself, Saturday 19th May. So the locals enjoy the big day out too. The Royal Wedding Bucket is lavish and regal in its design, featuring a bespoke crest inspired by timeless commemorative memorabilia, but with a modern KFC twist. Featuring resplendent gold flourishes, the bucket is embellished with a classic regal crest, proudly adorned with both British and American flags. Classy. 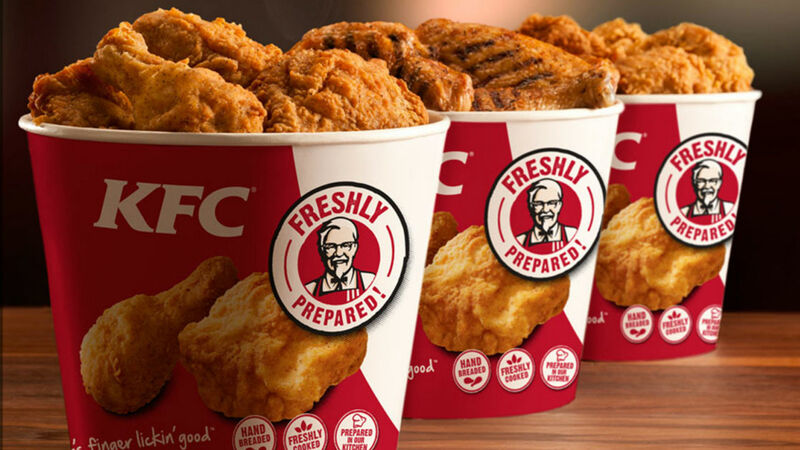 The buckets will only be available at KFC’s Windsor branch on Dedworth Road but cCustomers will need to move fast as they are available on a first come, first served basis on the Saturday 19th May, subject to availability. 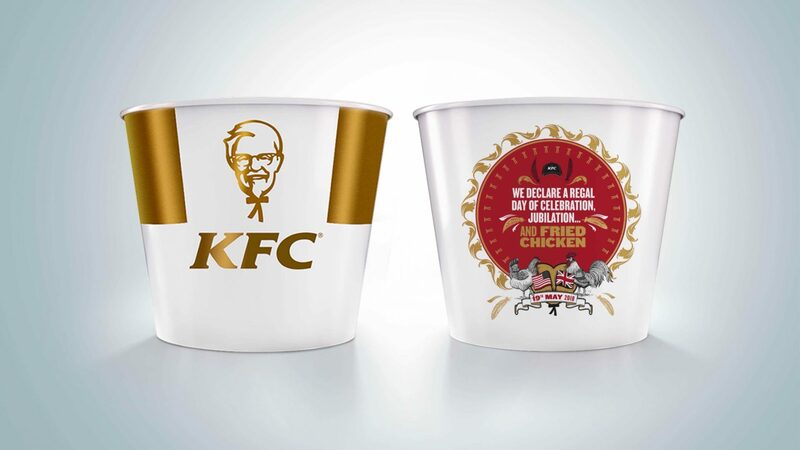 For those further afield who can’t make it to Windsor, 25 additional bespoke Commemorative Buckets, made from luxurious fine bone china, will also be available exclusively for KFC’s Colonel Club members to win, from Tuesday 15th May. Download the app here and register for further details.